Ever since their launch last year, AMD’s Threadripper CPUs have been the center of many discussions and debates. Due to their unique design – both physically and architecturally – cooling requirements and efficiency are some of the major discussion topics. All of the Threadripper models have significant power and cooling requirements, with AMD recommending liquid cooling right off the bat. However, the actual thermal design power (TDP) specifications are not that high, suggesting that a good air-based cooler could easily cope with the thermal load. And here is where things are getting complicated. Threadripper processors step quite far outside typical CPU designs in several ways, one of which is their relatively massive physical size. The CPU’s surface area is much greater than that of all consumer CPUs before them, including Intel's LGA 20xx sockets. 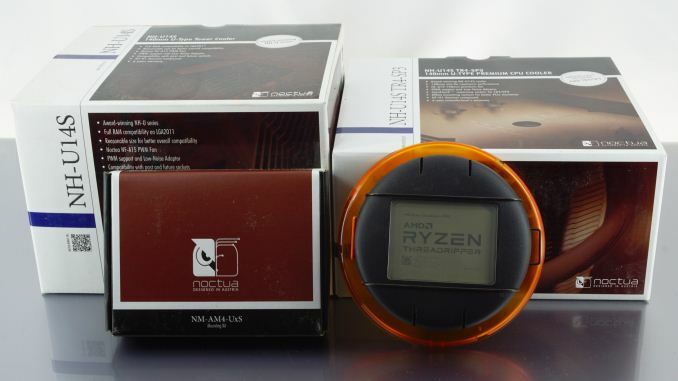 This sizable design choice is not because AMD couldn't squeeze the CPU dies physically closer, but because Threadripper's size is the minimum size that their engineers calculated to be effective for both the mechanical strength of the package and for sufficient heat dissipation. When Threadripper was announced, nearly all cooler manufacturers rushed to provide adapters for their products to be mounted on Threadripper processors. AMD themselves include an adapter for Asetek-based liquid coolers inside the package of the Threadripper processors. User experiences with such adapters, including our own, were less that ideal. So today we're going to take a look at why AMD's thermal requirements are so exaggerated and showcase why adapters are not effective. Most available coolers were designed with the previous generation processors in mind, and their contact surface is significantly smaller than the CPU’s surface area. Many manufacturers rushed to offer adapters for their products to be mounted on Threadripper (socket TR4) processors and several posted/presented simple mods that convert AM4-compatible coolers to fit as well. 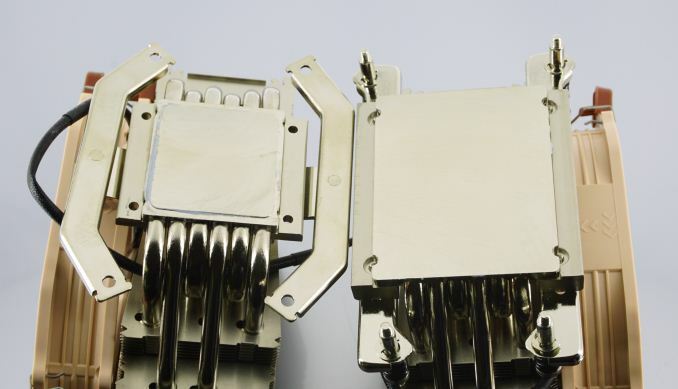 Using socket adapters and mounting typical coolers on Threadripper processor does work, but they are only partially covering the CPU’s surface area. There have been many debates whether the same exact cooler but with a proper contact surface would have better thermal conductance. According to basic thermal engineering theory, the cooler whose base covers more of a processor's lid should perform better. In the following pages we examine the theoretical aspect of this supposition and follow up with an experimental case study. Hmm, the cooler should cover the chip it is cooling... who would have thought that to be the case? "AMD’s Threadripper processors certainly do not require liquid coolers to function properly at stock"
Moot point, as nigh end noctua coolers easily beat AIO water coolers and can only be marginally bested by significant custom loop systems. Not sure how you could have "serious problems" with the install. I for one like the overbuilt socket. I mean, unless you're one of the strange people aiming for an ITX TR build. Lots of assumptions there friend. Really sad honestly there were a lot of better (and more accurate) interpretations of my comment available.